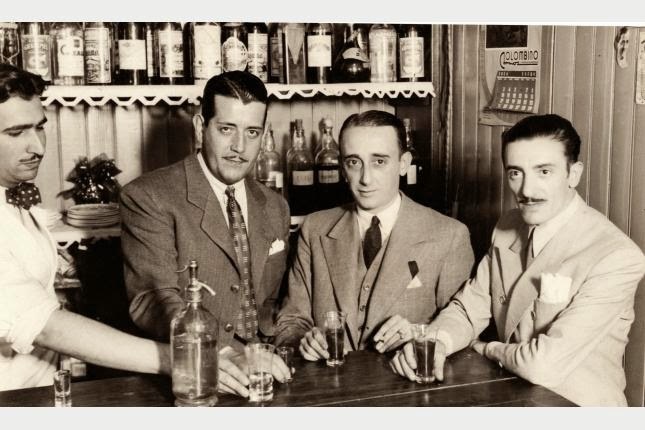 Coincidentally, in the same year 1933, a little-known tango performer and composer from Montevideo, Pintín Castellanos, made his first public appearance, in the night club of Carrasco. 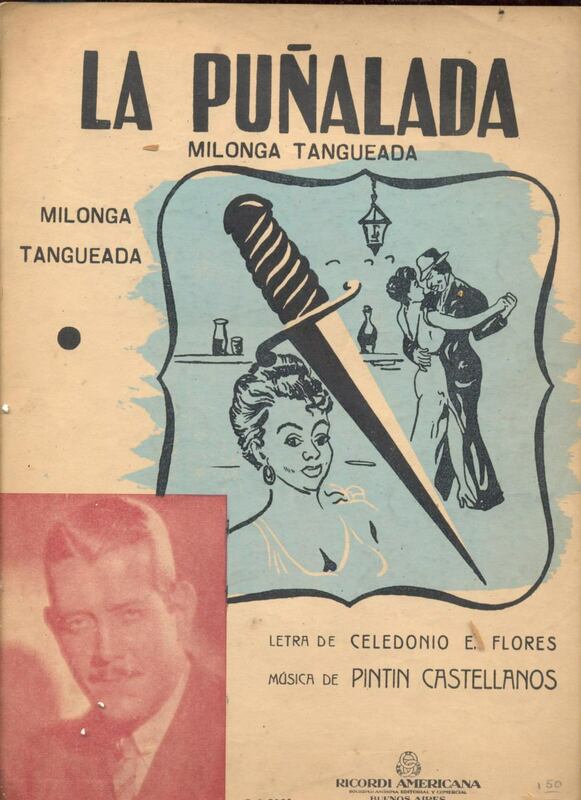 By his own words, Pintín was always fond of the atmosphere of the outskirts, and, not surprisingly, the new tango that he recently wrote, was called “La puñalada”. Puñalada is a wound, made by puña, a spiky-shaped knife, which deadly gleam could be seen in the dark of a night club, when an argument erupted. From right to left: Rodolfo Biagi, Juan D’Arienzo, Pintin Castellano. Confiteria de radio Carve, 1936. This tango did not enjoy much of exposure, until the spring of 1936, when Juan D’Arienzo, preparing for his yearly tour to Montevideo, started looking for some new music. In 1936 milongas were well planted in the repertoire of major tango orquestas, and D’Arienzo was not an exception. D’Arienzo was a friend of Castellanos, and so he was aware of his recent works, suspecting, and rightfully so, that he would enjoy a warm reception, playing something that was already known locally. But it was the genius of Rodolfo Biagi, who, together with D’Arienzo arranger, violinist Domingo Mancuso, transcribed “La puñalada” into a punchy milonga. In 1937 D’Arienzo made his first recording of “La puñalada”. In 1943 – the second one, together with “La cumparsita”. But there were two more, made by the King of the Beat, in the 50s and in the 60s.